Any Questions? We Call You! We fly every day of the year. 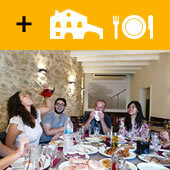 Discover one of the most exciting outdoor activities near Barcelona: Balloon Flight Experience. In accordance with the Data Protection Act, the information you provide will be used to contact you in reference to your specific questions. 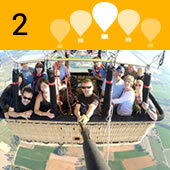 Choose from different balloon rides: sharing flights, exclusive couple flights or family and group flights. Our staff and pilots speaks English, French, Italian, Spanish and Catalan. Assembling and inflating the balloon, you will receive your welcome backpack and will participate to the balloon preparation. We will fly for an hour and a quarter approximately with smooth changes of height controlled by the pilot, letting ourselves be carried by the breezes that will mark the route of the balloon. 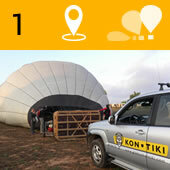 The Kon-Tiki 4WD will come to pick us up at the landing field and will take us back to the starting place where we will toast with cava and will give you the certificate and the photos of the flight. Buy now your tickets with open dates and open flight zone.